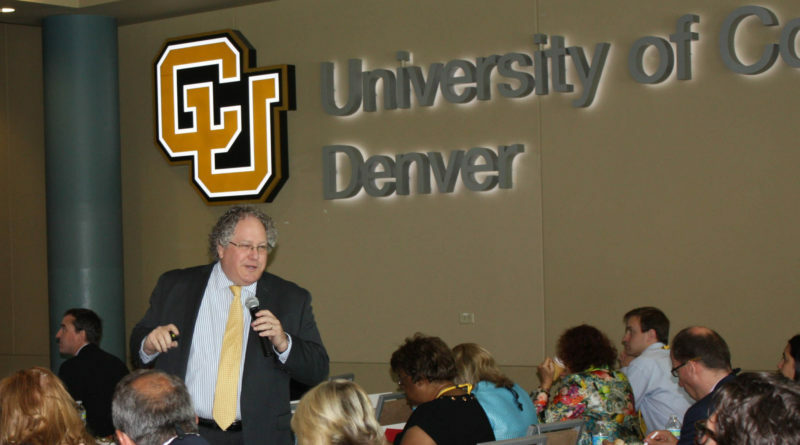 When a room filled with university staff from across the globe were asked the amount of time it took them to travel to Colorado, many answered with twenty hours or more. Long distances and extended travel times, however, simply come with the territory for these world travelers, as many are leaders for the study abroad programs at their respective universities, and all are attendees of the annual NAFSA Conference. The NAFSA Association of International Educators is the world’s largest nonprofit association dedicated to international education and exchange. NAFSA’s 68th Annual Conference and Expo, “Building Capacity for Global Learning,” was hosted in Denver, Colo., May 29- June 3, 2016. 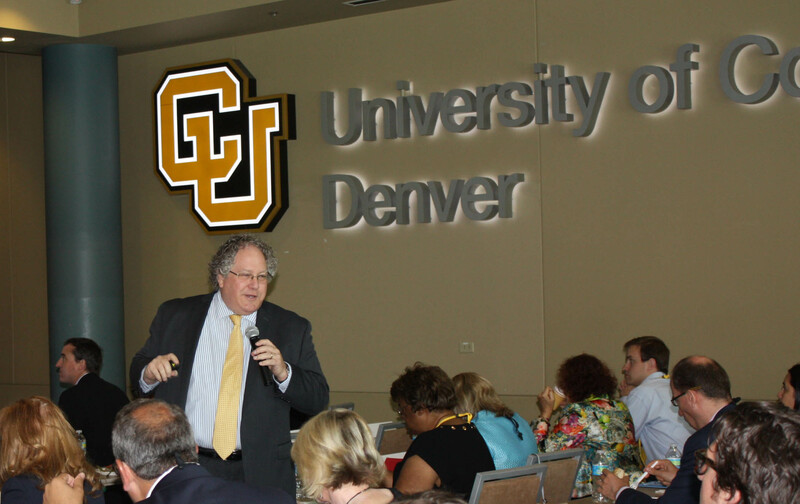 The University of Colorado Denver, CU Denver Business School, CU Office for International Affairs, CU Center for International Business Education and Research (CIBER), and the Jake Jabs Center for Entrepreneurship co-sponsored the Global Learning Colloquium on International Business Education at the CU Denver Business School on June 2, 2016, in cooperation with NAFSA and the U.S. Department of Education. Seventy-five faculty, students, and administrators participated from 20 countries and 15 U.S. states. This all-day event included speakers and panelists from around the world and focused on innovation and strategic partnerships in global learning. 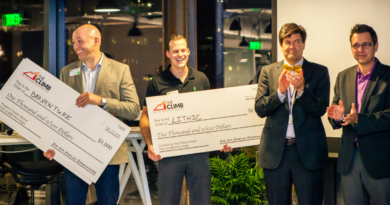 The event began with remarks by Gary Kochenberger, interim dean of the Business School, Madhavan Parthasarathy, director of the Jake Jabs Center for Entrepreneurship, and Manuel Serapio, associate professor and director of MS in international business. The morning progressed with keynote speaker Lloyd Lewan, former chairman of the board and executive dean emeritus for the Institute for Shipboard Education, and advisory council member for the Jake Jabs Center for Entrepreneurship. Dr. Lewan has dedicated much of his life to providing international education opportunities for students. He has led thousands of university students around the world on an ocean liner through the Institute for Shipboard Education, introducing them to the peoples, cultures, and leaders of the interdependent world. Dr. Lewan spoke about educating for the reality of global interdependence, and the importance of seeking and finding the best leaders for current programs and developing future global leaders. The program continued with an informative panel discussion, “Strategic Partnerships for High-Impact Global Learning Experiences,” led by Dr. Timothy Duvall, senior program officer of international and foreign language education, U.S. Department of Education. Dr. Duvall highlighted the Centers for International Business Education and Research (CIBERs) across the country, a network of 17 universities that provide initiatives to increase U.S. global competitiveness. 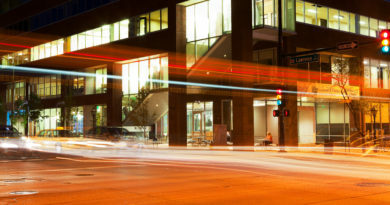 The University of Colorado Denver is proud to be a CIBER university. “At our CIBER universities, we want to ensure we are turning out graduates, and giving graduates everything they need to succeed,” Duvall said. The event also included presentations about China’s evolving economy, influential practices for intercultural competence, and the value of strategic partnerships when planning international programs. The colloquium concluded with a workshop by Dr. Anne D’Angelo, assistant dean of global initiatives, Carlson Global Institute at the University of Minnesota. 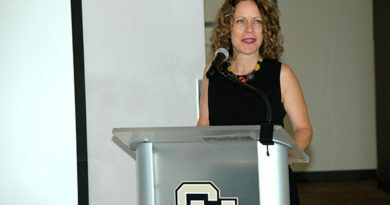 The University of Colorado Denver was honored to be a part of the annual NAFSA conference. For additional information about NAFSA, visit nafsa.org.